There are a lot of golf fans who remember with relish the manner with which Sir Nick Faldo defeated Greg Norman in that incredible final round in the 1996 US Masters at Augusta. 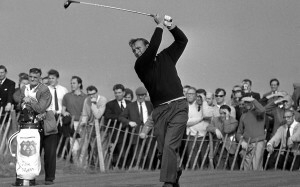 Faldo on that occasion came back from being six shots behind at the first tee, to win the ‘Green Jacket’ by five shots by the time the two men had finished. 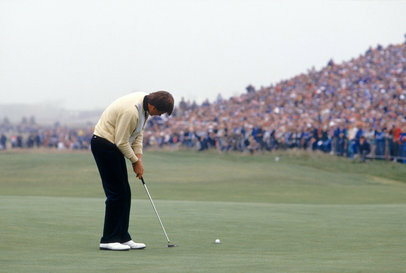 Faldo fired a 67, while the hapless Norman shot a six over 78, his worst ever round at Augusta. It was of course a disaster for Norman, who was destined never to win a Masters title, but the victory for Faldo gave him his sixth ‘Major’ victory and his third at Augusta. The fact that Faldo won however should not have been as big as a surprise as it was, because just a few years earlier in 1990 at St Andrews, Faldo achieved something very similar. He teed off in the final round six shots clear of playing partner and nearest challenger, Nick Faldo, seven shots clear of Phil Mickelson and a country mile clear of the rest of the field. He had played impeccable golf for three rounds and appeared to have seen off the Faldo challenge in the third round by increasing his tournament lead from four shots to six. 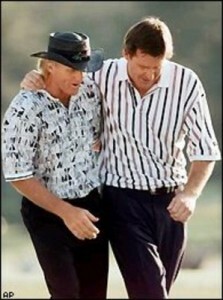 It was of course the 1996 US Masters and ‘he’ was the ‘Great White Shark’, Greg Norman. Up until 1996, Norman had long been regarded as the best player in the world, Faldo did assume the number one ranking for a couple of years at the time when he was winning five ‘major’s in the late 80s early 90’s, but overall it was Norman who had the most ability. Indeed until the 1996 Masters he had finished second or tied second in seven ‘Major’s’ and had fifteen other top ten finishes in ‘Major’s’ but amazingly had only managed to win two, which had come in the Open Championship in 1986 and 1993. Surely the 1996 US Masters was to be his third!